Today I am going to be sharing with you what I got in my March Glossybox! 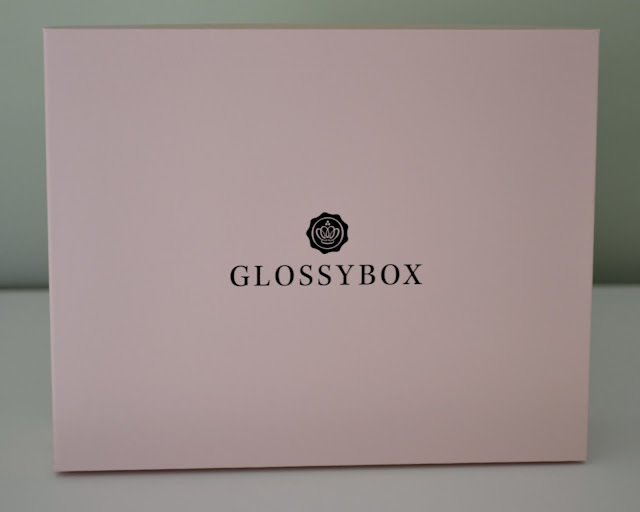 If you are new to my blog and new to Glossybox, this is a monthly subscription box filled with five full size and deluxe sample of different beauty products. It costs $21/month and with the quality and variety of products that you receive, I think that the price is definitely worth it. 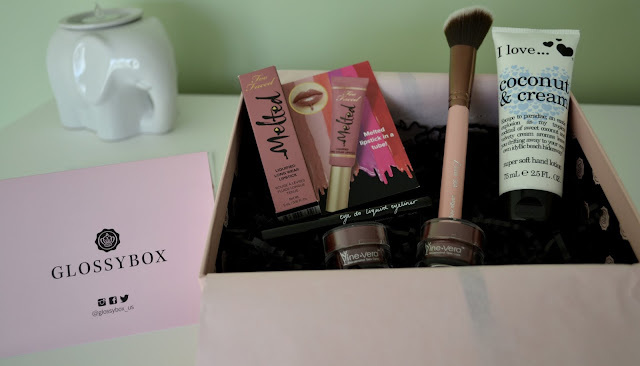 I really LOVED this month's box! I received a lot of great products that I have now incorporated into my daily routine. 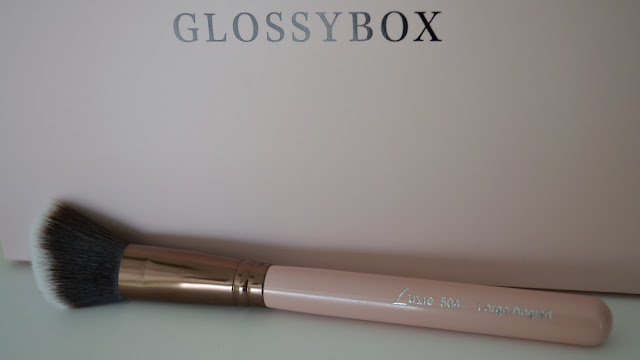 Luxie Beauty- Rose Gold Large Angled Face Brush: I LOVE this brush! It is my new contour brush and I am obsessed! The pink handle and the rose gold tip make this one of the most beautiful brushes I have in my collection. 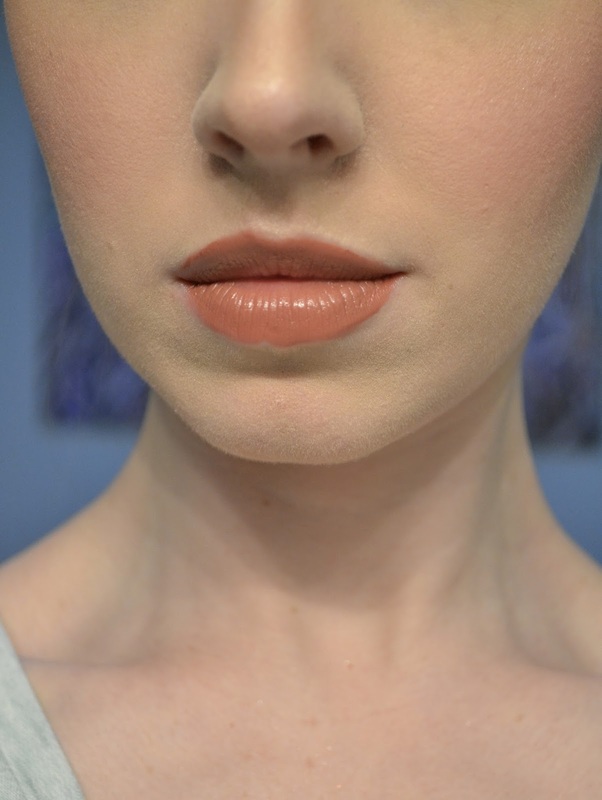 It helps to blend out any product beautifully and creates a nice soft look. 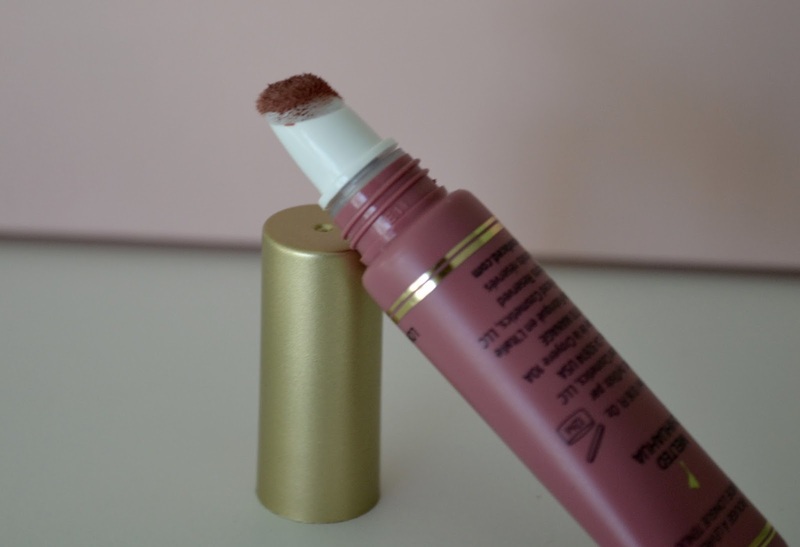 Vine Vera- Resveratrol Merlot Moisture Day Cream: I got so excited when I saw this product. I am a HUGE Caudal fan, so when I saw this product and the fact that it gets it's potency from grapes, I new I would love this cream. 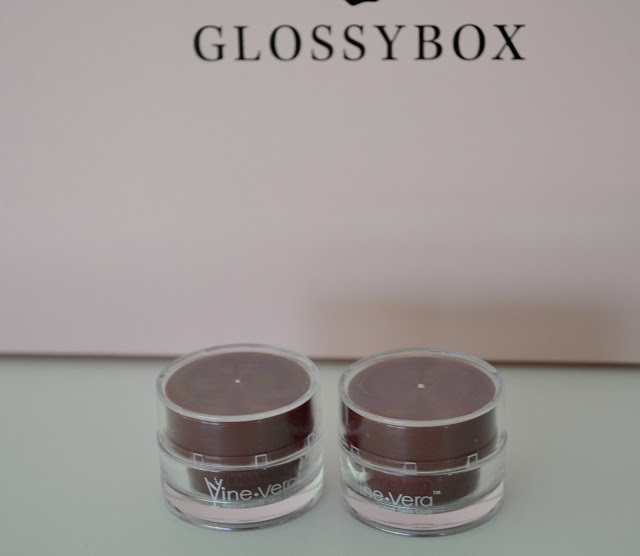 It takes all the benefits of red wine but instead of drinking a glass of Merlot, you can treat your skin to this anti aging day cream. I Love...Cosmetics- Super Soft Hand Lotion: By now you should all know my obsession with coconut! 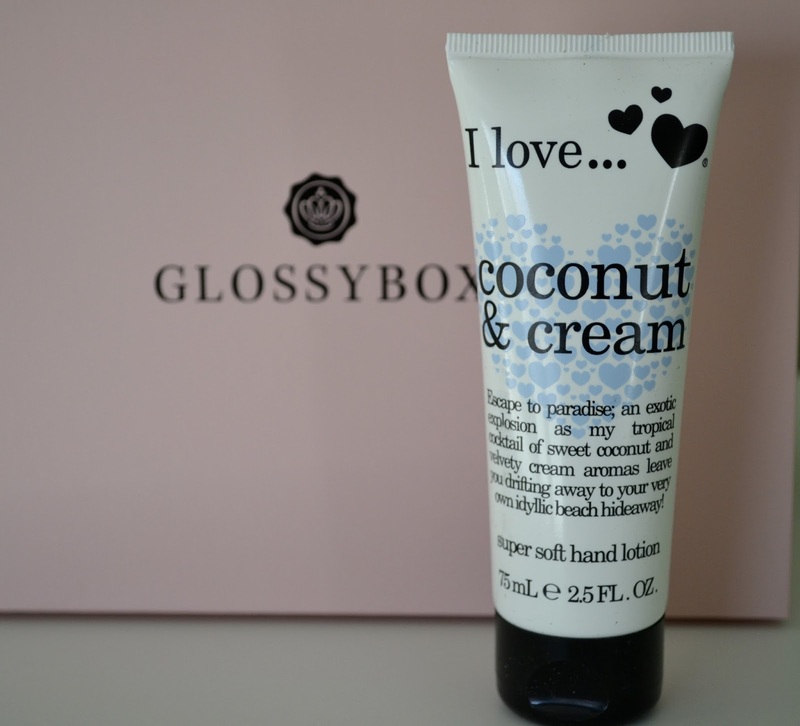 I use and eat so much coconut I think I'm starting to become one ;) This lotion smells good enough to eat! It made my hands nice and soft! 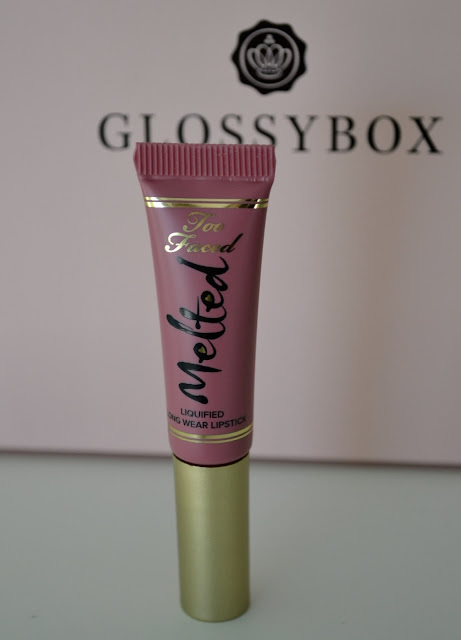 Too Faced- Melted Liquified Long Wear Lipstick in Chihuahua: BEST PRODUCT I HAVE EVER GOTTEN IN MY GLOSSYBOX!!!!! 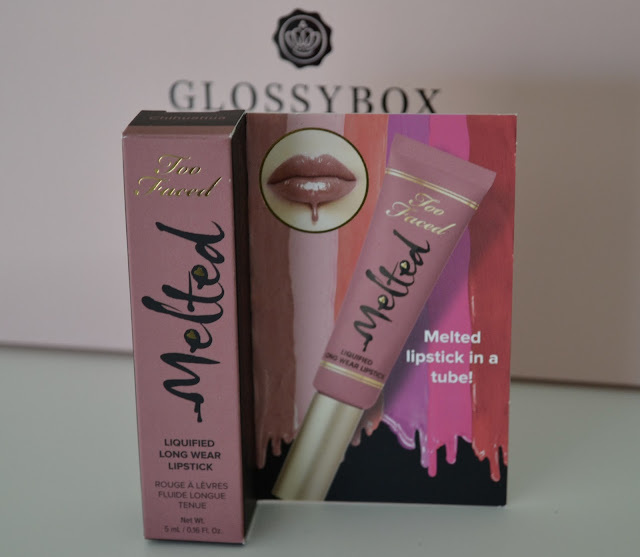 I have wanted to try these liquid lipsticks for a long time but didn't know how they would look on me or how they would wear. Let me tell you, I am in LOVE. 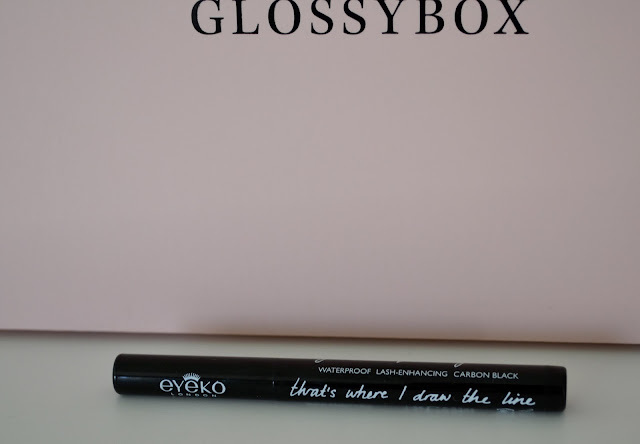 I purchased a full size of this product and want to pick up are shades! So happy I got this product! Let me know in the comments below what your favorite product listed above is!